Kids nowadays seem to be becoming less and less confident in themselves. There are plenty of reasons for this. We are living in a digital age, and kids are spending increasingly worrying amounts of time in isolated situations. They sit at games consoles in their rooms and often the most social interaction they get is speaking to a stranger overseas through a headset. But your little one’s early years are so important when it comes to forming their personality and character. It’s essential that they have self-confidence before they start school and throughout their education. Shy children often get left behind in classes, as they are scared to put their hand up and voice their views. They also tend to have fewer friends to play with at breaktime. Sport is a great method for boosting your child’s self-esteem. Here are a few reasons why golf, in particular, might be a great sport for your child to partake in. Golf, for children, is extremely exciting. It will make them feel grown up. Mini clubs, mini golf and fun, crazy golf courses are ideal for them. They’ll be able to play between small scale obstacles, such as windmills and little pools. The whole environment is energetic and bright. Golf isn’t something that your kids will have to be forced into. Many will take to it with fervor. The more fun a child is having, the more they will come out of their shell. Like all sports, golf can be competitive. 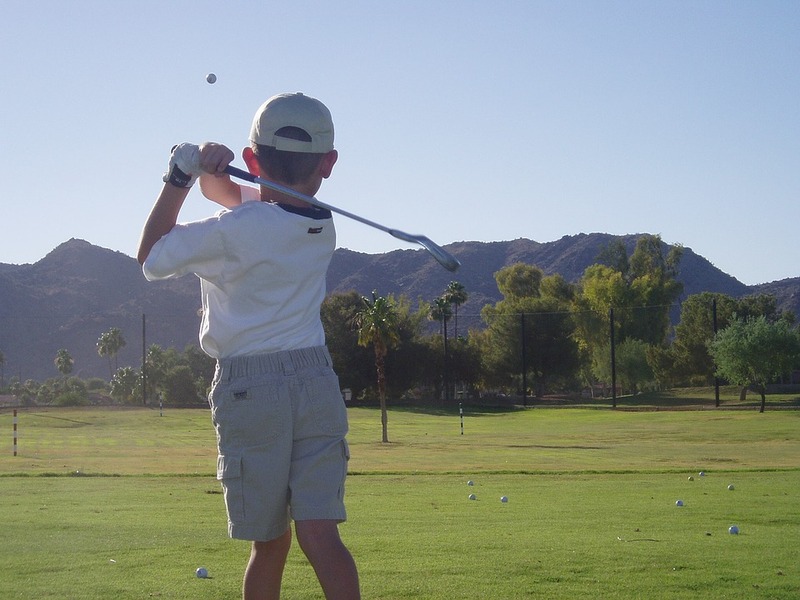 As your child’s skills grow, they may wish to take part in golf-related competitions and events. Golf trophies and awards are presented at these events. These prizes will inspire your children to work on their skills and become the best in their field. They will feel a sense of pride as they achieve more and more. They will gain confidence in themselves and their capabilities. This will spread into other areas of their life. For example, school and friendships. The more hobbies and talents your children have, the more they will have to talk about with others. A child’s enthusiasm for the sport will be a hot topic of conversation when they meet others their age. Shy children often keep quiet when meeting others. With confidence and interest in a sport, your child will want to tell the world about what they get up to in their spare time. A happy, talkative child will draw a larger friendship group.